Lakeview Lodge Karapiro - Huntington. Property 7: Lakeview Lodge Karapiro - Huntington. Lakeview Lodge Karapiro - Hamptons. Property 8: Lakeview Lodge Karapiro - Hamptons. Chalet in the Shires, quiet and scenic, good location for events/attractions. Property 18: Chalet in the Shires, quiet and scenic, good location for events/attractions. Property 19: Comfy home opp Gilmour Lake. Property 23: Private, quiet, cottage adjoining stream. Property 24: Gorgeous cottage beside stoney bottom stream! 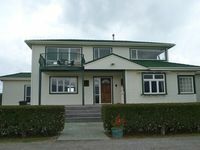 Property 25: The Paeroa Bungalow..
Haybarn House. This house has a round roof. I have an extremely spoiled cat. Property 39: Haybarn House. This house has a round roof. I have an extremely spoiled cat. Silverstream Cottage, nestled next to the Mangatoetoe Stream. 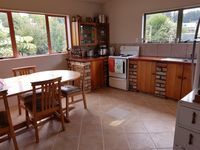 Property 43: Silverstream Cottage, nestled next to the Mangatoetoe Stream. Loved the place. Really nothing to not like. Peaceful, Tasteful, Relaxing. I wouldn't mind coming back again sometime, oh and the spa was the icing on the cake. Great hosts, nice and warm house. We really felt like at home. Thanks a lot!